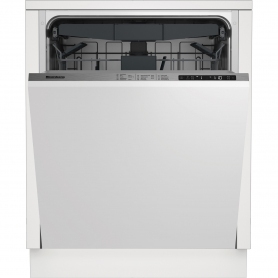 Save yourself time and hassle with this Blomberg built-in dishwasher. 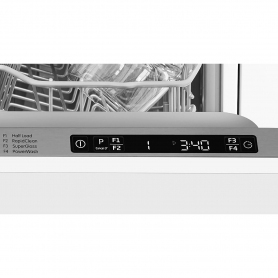 Exclusive to Euronics, the LDV42244 can take up to 14 place settings of dishes, has a variety of programmes, and boasts great energy efficiency. Relax and enjoy your evening after a delicious meal, without having to worry about the washing up. 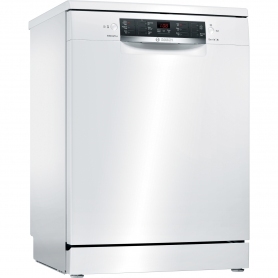 A spacious model, the LDV42244 is perfect for big families, and can easily fit larger items such as casserole dishes or frying pans. Fill it up over the course of the day or invite friends over for some delicious home cooked food – without having to wash the dishes by hand. 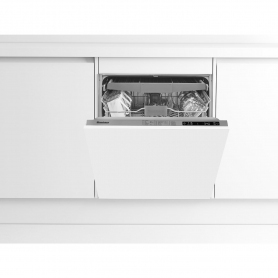 Thanks to this model’s built-in design, you can install the LDV42244 into your kitchen units for a seamless, integrated look. 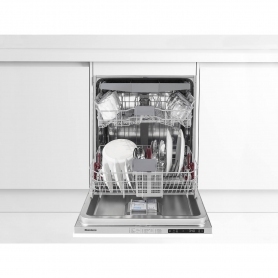 The dishwasher makes only 43 dB of noise, so you’ll forget it’s even there. The upper basket is height adjustable, so you can use the space flexibly, making room for bulkier items when needed. Both baskets feature drop down racks, so you can stack rows of plates or pop your pots and pans in quickly and easily. This model has a fantastic A++ energy efficiency rating, saving up to 20% more energy than A-class models. This is partly due to the LDV42244’s low 9.5 litre water consumption, preventing waste. Not only does this reduce your environmental impact, but it could even save you money on your utility bills. 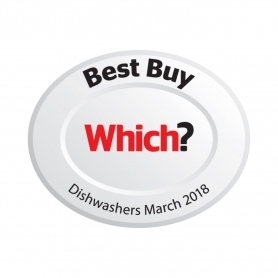 Pick from a selection of eight different programmes to give your dirty dishes just the wash they need. 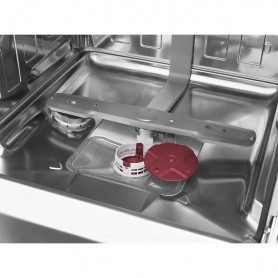 The PowerWash function takes advantage of the additional spray arm to give your dirty dishes an intense wash and the Half Load option is ideal for when you just want to put a few dishes on to clean. 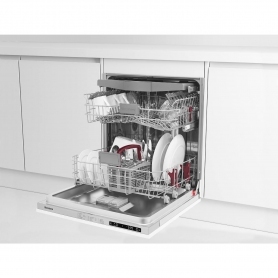 Pop a Blomberg LDV42244 dishwasher in your shopping basket today, for hassle free washing up. 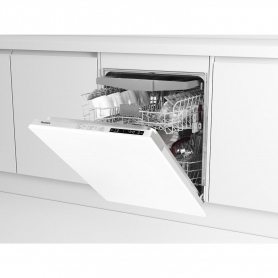 Whisper quiet with 43 dB noise level - perfect for open plan kitchens Additional cutlery tray - for maximum flexibility in loading the dishwasher. The PowerWash function provides an intense wash with the use of an additional spray arm. Floor projected LED spot lets you know when your dishwasher is operating and when its finished.